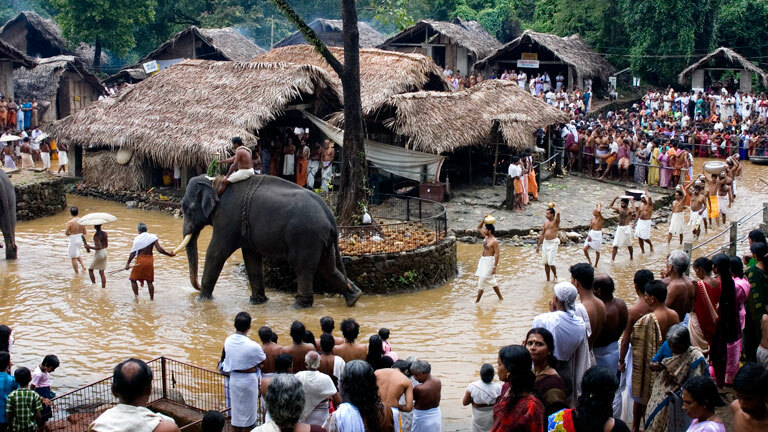 The annual Kottiyoor festival in Kannur district is a festival jointly held by two temples viz. Akkare Kottiyoor and Ikkare Kottiyoor, located on either side of the Bavali River in a dense forest. This 28-day festival falls during the months of May and June. Beginning with the neyyattam ritual on the first day and the thirukalasattu ritual on the concluding day are the highlights of this festival. Lord Shiva, the deity of Akkare Kottiyoor temple is considered as a swayambhoo lingam (self-created idol). There is no formal structure of a temple here at the Akkare Kottiyoor temple. Prayers and offerings are done here only during the festival days.